I'm feeling pretty darned good about where the book is now. We're 99.999% finished with the editing, the cover is ready to print, and all is going smoothly with the publisher. After only 4 1/2 years, this sucker is almost done! We're now starting to plan the marketing and PR campaign, and so far it's been pretty fun. "Mark O'Connell's compelling biography of lone wolf Air Force investigator J. Allen Hynek is a testimony to the complex nature of belief and its effect on the human condition." "No serious study of the UFO phenomenon could be complete without a look at the life of Dr. J. Allen Hynek. Mark O’Connell has done a masterful job of interweaving the life of this scientist, star-gazer, space pioneer and dreamer with an engaging encapsulation of the UFO phenomenon. This work is not to be missed." 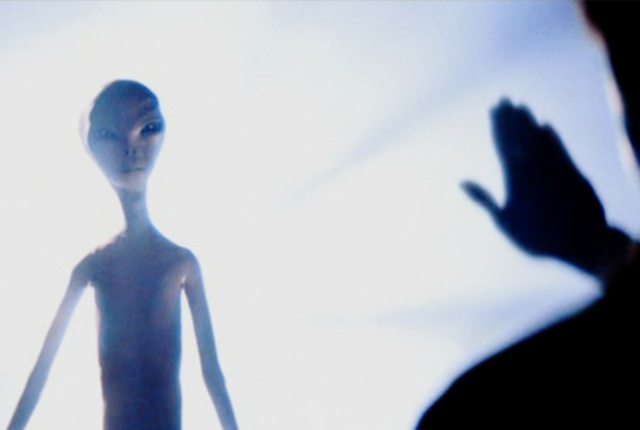 Is this what our first alien contact will be like? I sure hope so. But the really big news is that I'm going to be on Coast to Coast AM on the night of Sunday, June 18, from midnight to 2 AM Central Time (okay, technically, that makes it Monday, June 19th, but you know what I mean). Plan ahead! Go here to find out where to listen to Coast to Coast AM! Or you can listen in on Channel 102 on Sirius XM Radio!